How much does a chiropractic session cost? The initial visit is important because, without a thorough investigation of your history, an understanding of your goals and an evaluation of your current condition, Dr. Boyne won’t have the key information needed to plan the most effective treatment protocol for you. It’s important to note the treatment protocol may include advising you seek other forms of treatment such as seeing a medical doctor. In Canada, we’re conditioned to expect “free” healthcare. We put the brackets around the word free deliberately - while we don’t pay each time we visit the medical doctor, we do pay through taxes. Why bother to state the obvious? Unfortunately, our free access to medical care often clouds our perception of the value of other forms of healthcare treatment that are often paid for out-of-pocket, such as the optometrist, dentist and chiropractor. Truth is, our eyes, teeth and musculoskeletal system often need specialized care. Whether it’s acute care for an injury or infection, or preventive care for eyes, teeth, joints, muscles and nerves investing in your health is always a wise choice. Luckily, many employer health care plans include chiropractic care. If you are covered by your employer, check to see if chiropractic treatment is part of your plan. If it isn’t, ask your supervisor or manager if there is a possibility for the plan to be changed. If you’re not covered, look into Alberta Blue Cross and other individual healthcare plans. Many include coverage for chiropractic care, and you’ll be happy when your teeth need cleaning or your eyes need a check-up as well. Need help affording the care you need? If the cost of chiropractic treatment is stopping you from seeking help, please discuss your concerns with Dr. Boyne. 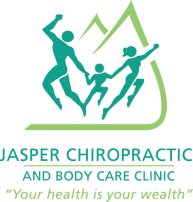 The Jasper Chiropractic and Body Care Clinic can offer financing options.